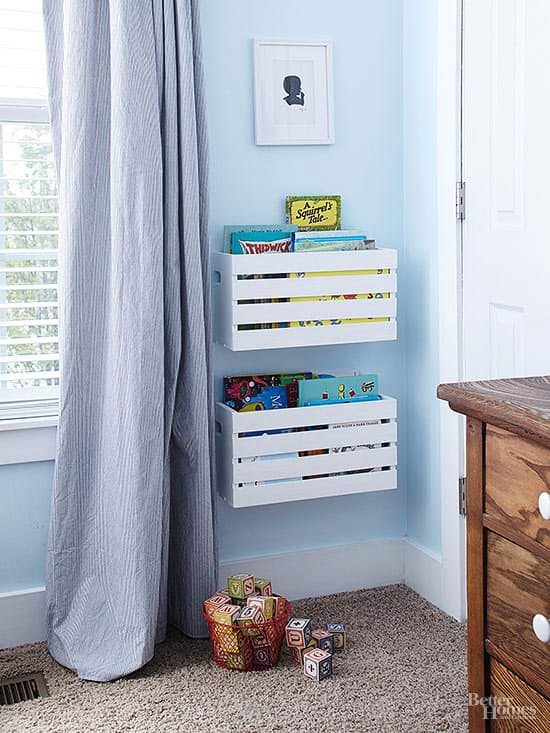 If you’re looking for some unique and uncommon storage ideas for kid’s room this post is for you. Check out! 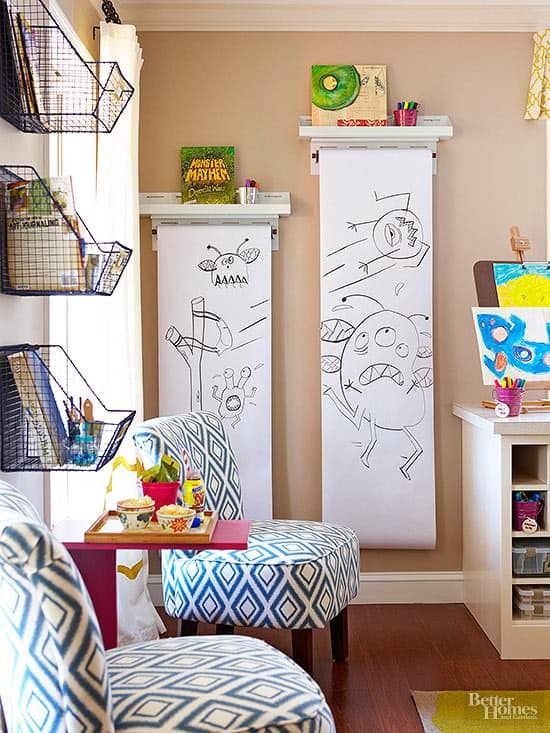 The decor that gets marketed to kids usually has, well, an unsophisticated look to it. Much of it is plastic and primary colored – which is all good and well. But if you or your kid is craving something a little more unique, here are some other projects that don’t sacrifice sturdiness or style. 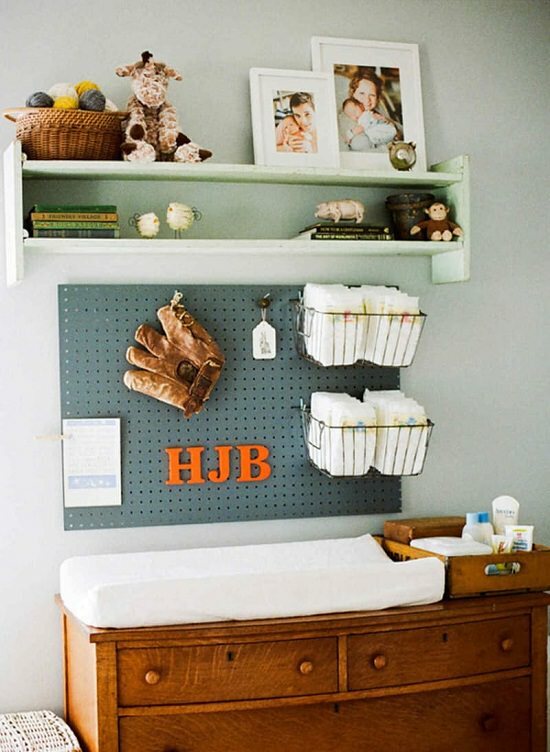 Pegboard was put to smart use above the changing station in this boys’ nursery from Lay Baby Lay. There are two smart solutions in this shot from Better Homes and Gardens. The wall-mounted rollers shelves are the perfect compact art station, but also check out the wire baskets mounted to the wall on the left. Better Homes and Gardens used the wall-mounted basket idea again here, this time with crates hung within the little ones’ reach.